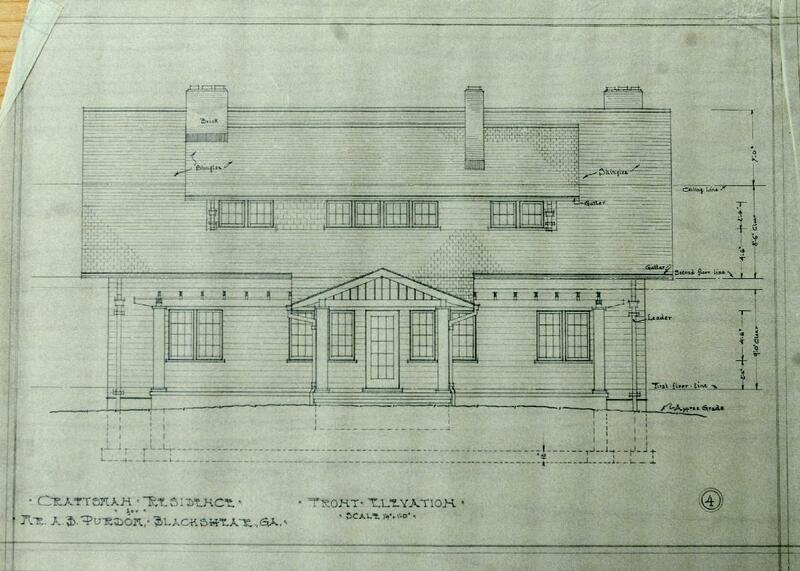 Somehow during the design and layout of Stickley's Craftsman Homes this commision home was left out. The A. B. Purdom home is an excellent example of how Stickley’s design process worked when a client commissioned a home. 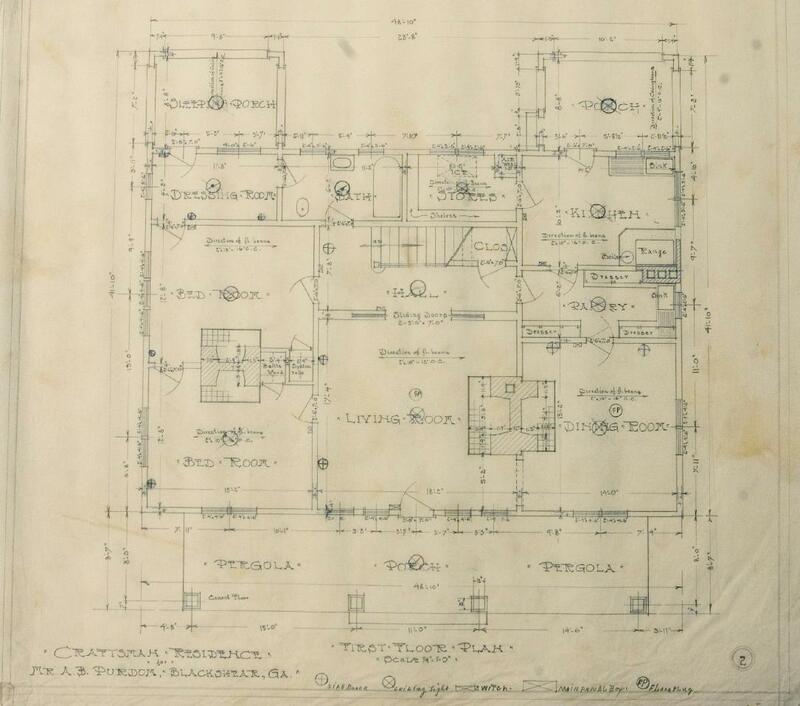 The prelimiary blueprints below, from the Avery Architectural Library at Columbia University, show the home as conceived by the Craftsman Architects and mailed to the client. 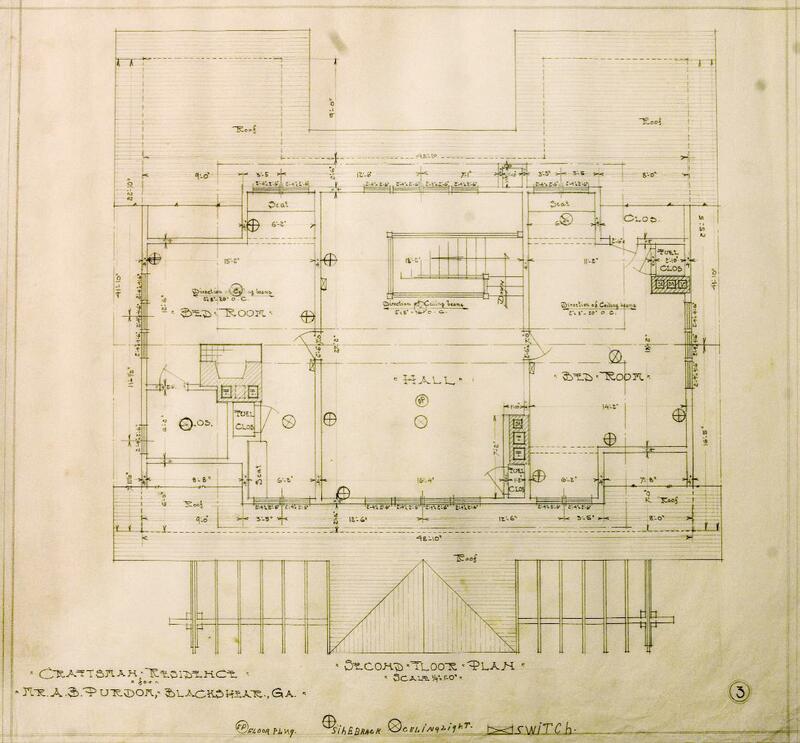 Purdom returned the plans to Stickley with desired changes marked in red crayon, and with a photo of a house he liked torn from a newspaper stapled to the blueprint. The firm then returned drawings incorporating the changes requested. The house was built, but burned down in the 1960s. 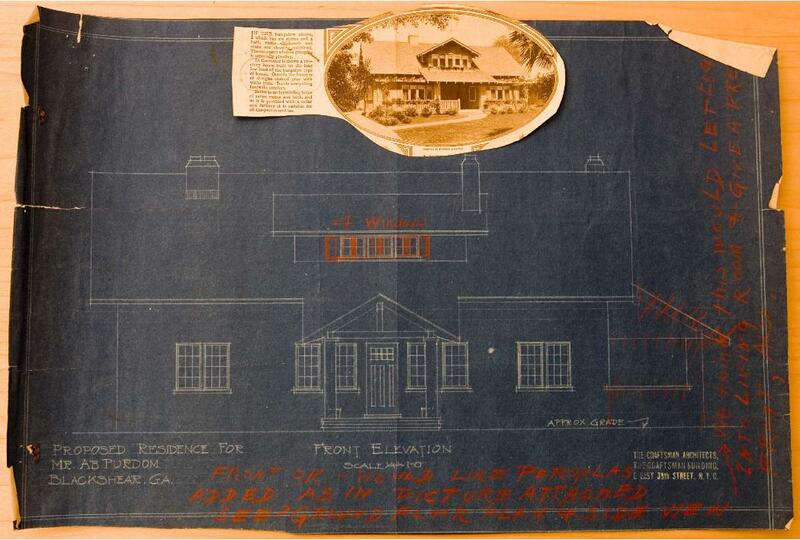 Above, the blueprints sent to Mr. Purdom were returned to Stickley with modifications done in red crayon. Keeping in the basic Craftsman style, the plans were modified to Purdom’s wishes...the extra windows were added to the dormer, although it remained a “shed roof” style, the pergolla added and the side porch removed. The interior changes were all made, including the pocket doors between the living room and the staircase hall. Stickley normally never offered pocket doors in his designs, and the open post and panel separation of the living room and hall--open floor plan--was done away with. 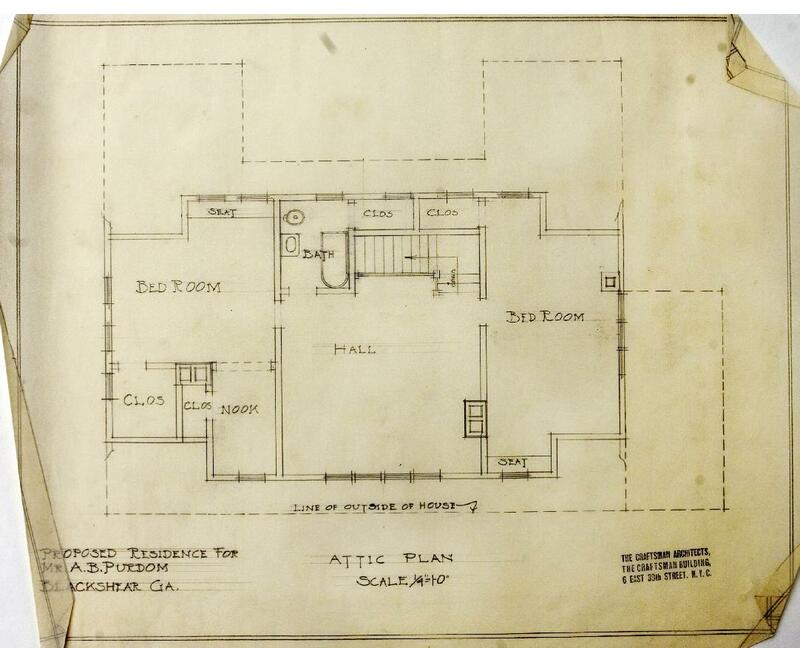 ....but another labeled “Attic Plan” was sent correcting the mistake.